On Monday, Constellation Brands announced it was acquiring San Diego’s Ballast Point Brewing Co. Big whoop, right? It seems like one of the big beer companies buys a craft brewery about every other week. But here’s the actual news within the story: Constellation—which owns the U.S. rights to Corona and Modelo and is the country’s largest wine company—paid a cool billion dollars for the right to sell Sculpin IPA. A craft brewery buyout is barely worth noting, but a craft brewery that last year only sold 113,000 barrels going for a billion dollars? That’s news. Lets unpack some numbers and see if we can figure out why. It’s not because the four Ballast facilities around San Diego are worth a billion dollars; far from it. This summer, when Lagunitas sold a 50 percent stake to Heineken, reports suggested the brewery was also valued at a billion dollars. But Lagunitas has two breweries, with a third on the way, which will push capacity toward 2 million barrels a year. Ballast Point has a very strong brand and one of the most beloved IPAs in the country—but it brewed less than a fifth as much beer as Lagunitas. 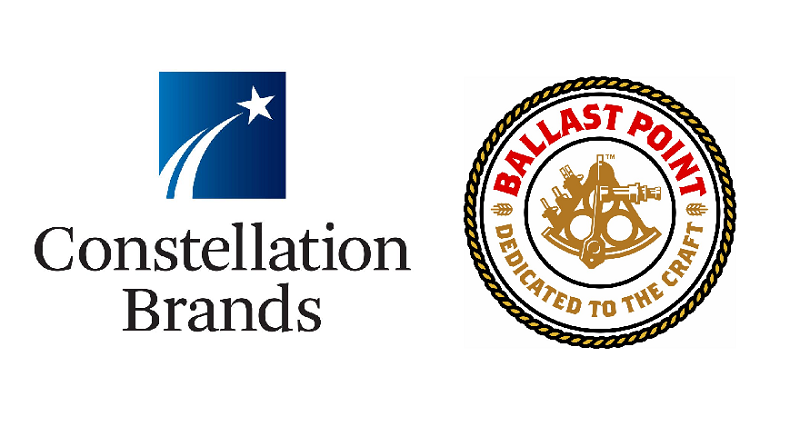 Rather, Constellation is looking at Ballast Point’s future value. When you consider what a company is worth, you look at all its hard assets, its liabilities, its annual earnings, and its future potential. In the case of Constellation, they’re betting that the market shift, from mass market lagers to fuller-flavor lagers and ales (what we used to call “craft beer”), is only getting started. Many observers believe this is further evidence of a bubble in the “craft” segment—the outrageous prices paid for breweries remind them of mortgages in 2007. Of course, that’s always possible. If the market flatlines tomorrow, Constellation will lose big on the deal. But consider: since 1990 or so, the overall beer market in the United States has remained a pretty steady 200 million barrels. (Per-capita beer consumption has declined, but the population keeps growing.) In 1990, pretty close to 100 percent of the market was mass market lagers. By 2015, the 200 million barrels of mass market lager had shrunk to about 175, and that drop-off curve gets steeper each year. They are currently hemorrhaging two or three million barrels a year, and if trends continue, that number will grow faster. Big beer companies are well aware of these trends, and they’re asking themselves the same question: How much of the market 10 years from now will still be mass market lagers? The moves breweries make now reflects their answer to that question. When I speak to beer fans around the country and see comments on social media, they usually assume there’s a fairly low cap on the amount craft beer can grow. The big beer companies aren’t thinking of it that way. They assume mass market lagers are going to continue to decline in the future, and it’s why they have to figure out a way to get in on the craft pie. You may think this is a bubble, and you may be right. What this billion-dollar announcement today tells us is that big beer companies don’t agree. They look at that 200 million barrel U.S. beer market and see a lot more craft in its future—and they’re willing to pay a king’s ransom to make sure they have a brand in the game. Now all we have to do is make the obsolete and increasingly meaningless marketing term “craft beer” go away entirely, and focus on overall quality rather than the size of brewing company making the product. Bigger doesn’t always mean worse…and as is becoming more apparent in this age of new breweries popping up every week, smaller most certainly doesn’t always mean better.